Are Your Workouts Fun, Effective & Safe? Do They get you Strong & Keep you Moving? If they’re not, then you are a perfect candidate for OBFT. We put the FUN in FUNctional training! I highly recommend OBFT to anyone looking to kickstart or advance their fitness goals and training. I’ve worked with Scott for over a year now and can say with confidence that he and his experienced team are more than capable of adapting to anyone’s fitness level, and are able to offer a wide variety of activities, classes and routines, all customized to your needs. OBFT is a phenomenal gym with a great staff who truly cares about their clients overall well-being. It is a great workout for anybody who is highly skilled or looking to try boxing for the first time! I definitely would suggest anyone who is slightly interested to give it a try! As you see in the other reviews, OBFT has our family hooked on their workouts and staff. Let me start by saying I am the last person to be motivate to “go to the gym” or “go workout”. I live a very active lifestyle outside of the gym but I’m never willing to go lift weights or run on a treadmill. 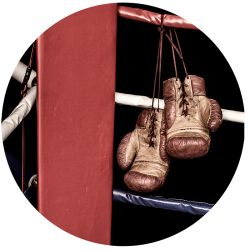 I’ve been wanting to try boxing or kick boxing for quite some time, but I wasn’t eager to join a full class, plus it’s not a typical class that is offered. I’ve been training with Scott and Reshad at OBFT since March, 2018, along with my family. OBFT is amazing because it has awesome gym equipment and incredible people. Great work out! I’ve been going to the boxing and fitranx workouts for a few months now and the results have been much better than what I was getting doing weights on my own. The atmosphere is welcoming and the workouts are challenging. Would recommend it to anyone. Coach Scott helped me get stronger and his workouts are amazing! OBFT is a hidden gem. The classes are great and so are the trainers. I recently tried their 30mins class and I found it great, especially after getting back into working out. I definitely recommend for people to try it out. Here at OBFT we put the fun in functional by focusing on two essential components, strength training and metabolic enhancement. We don't strength train sitting down on a machine, we strap up with suspension trainers. We lug around sleds. We blast core with stability balls, and we move weights in innovative and highly effective ways. Our method of strength training is proven to deliver the results and we want you to have fun while doing it! We don't do cardio on treadmills and ellipticals, we charge up metabolically throwing real punches in our exhilarating boxing and muay thai kickboxing classes, or we make you reach for all you've got when you decide to step into our spin & slide group program. So you can choose workout, or you can Train OBFT!